With its matt black finish and chrome highlights, the Tripla-BL1 is everything modern tapware should be: clean and classy. But its appeal is more than cosmetic. There’s a lot of practicality working alongside those striking looks: plenty of clearance and height for filling bottles and jugs, and for washing up. Plus, a chrome lever on one side will give you filtered water, while the lever on the other side will dispense hot and cold tap water. 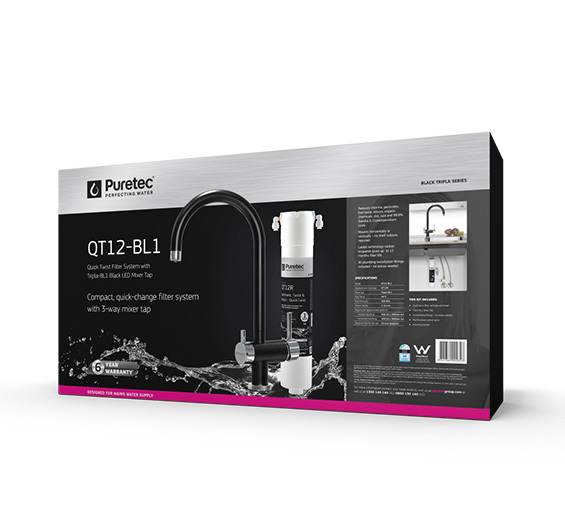 The BL1, like all Puretec Tripla taps, does not mix filtered and unfiltered water. 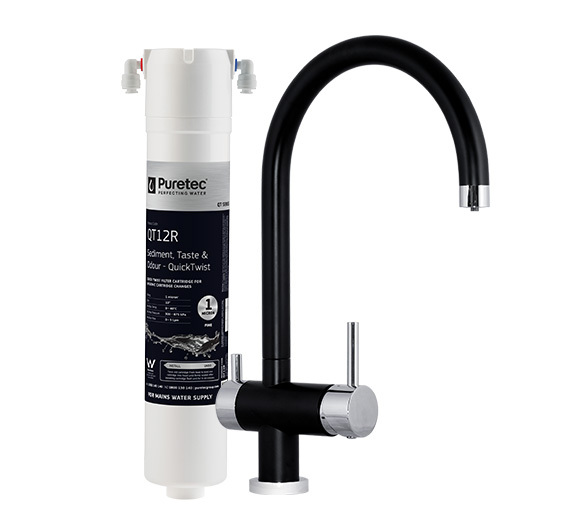 The Puretec Quick-Twist filter is easy to install, either in a horizontal or vertical position. 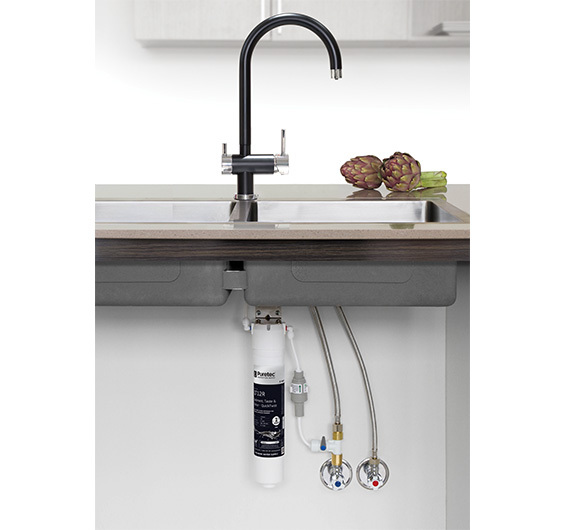 The system comes with all the required plumbing connections, and is specifically designed to work with Tripla tapware. This combination includes the QT series filter and the TRIPLA-BL1 mixer. • Reduces chlorine, pesticide, bad taste, odours, organic chemicals, dirt, rust and 99.9% Giardia & Cryptosporidium cysts.